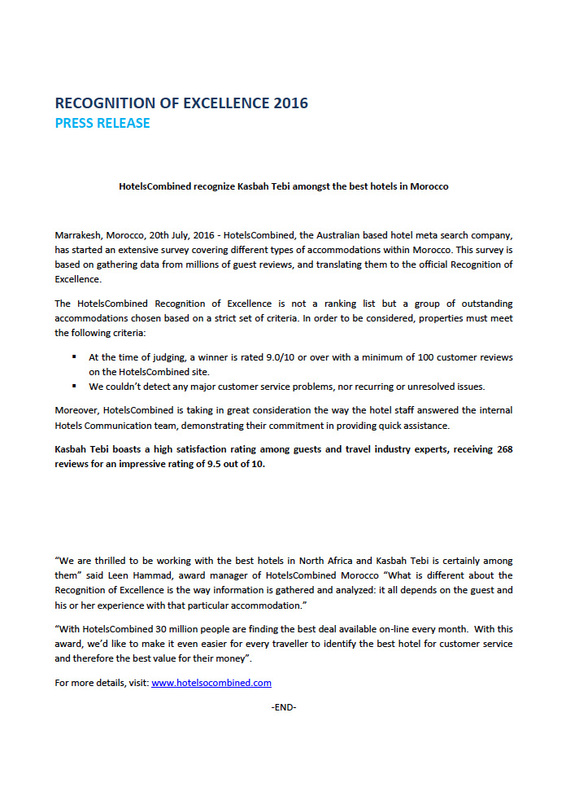 HotelsCombined, the Australian based hotel meta search company, has started an extensive survey covering different types of accommodations within Morocco. This survey is based on gathering data from millions of guest reviews, and translating them to the official Recognition of Excellence. 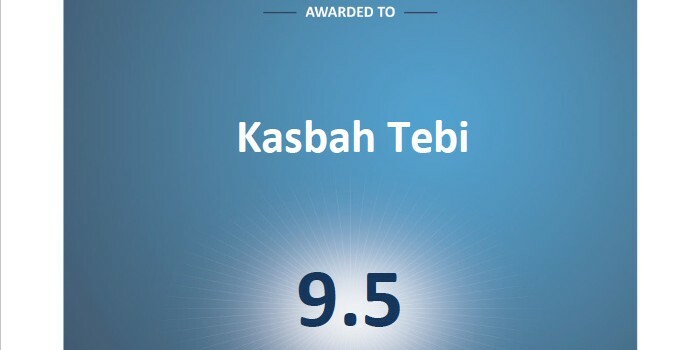 At the time of judging, a winner is rated 9.0/10 or over with a minimum of 100 customer reviews on the HotelsCombined site. Moreover, HotelsCombined is taking in great consideration the way the hotel staff answered the internal Hotels Communication team, demonstrating their commitment in providing quick assistance. 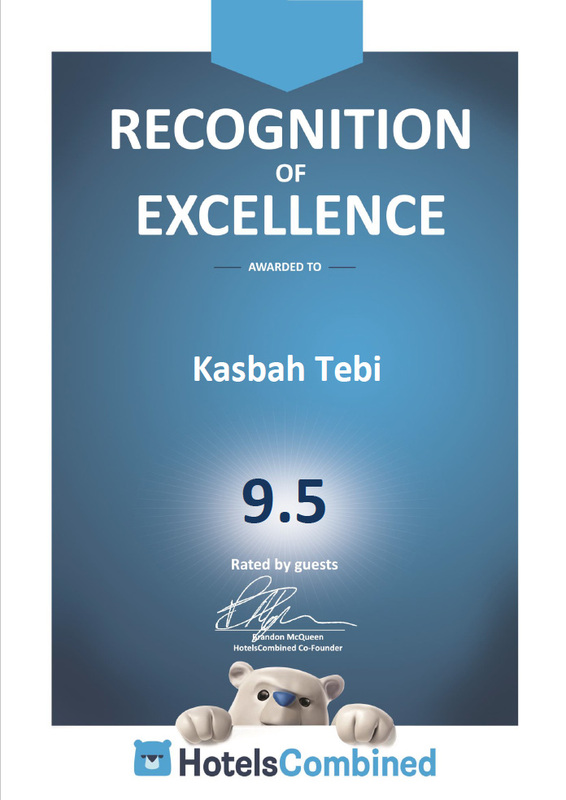 Kasbah Tebi boasts a high satisfaction rating among guests and travel industry experts, receiving 268 reviews for an impressive rating of 9.5 out of 10.